Do you love to indulge in the luxury lifestyle, and have often contemplated the idea of navigating the waters as captain of your own boat? Then before you proceed to make any decision, listen up! Nowadays it no longer makes sense to own your private yacht. As attractive as the prospect of being a boat owner sounds, it is a well-known reality that the setbacks far outweigh the positives. New yacht owners often find out that the idyllic notion of calling a boat their own comes with great responsibility. Firstly, it’s expensive to start up and run; and you’ll soon discover what a time-consuming commitment it can be. 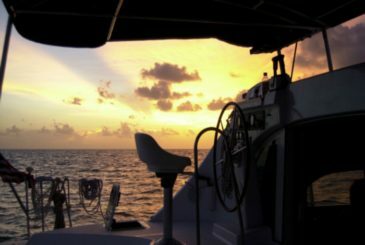 And not only will you end up spending most of your limited free time tending to the boat; when you actually decide it’s time to regain your freedom and opt to sell, the rapid boat depreciation value rate means you won’t get much return on your initial investment. So what solutions do exist? You may never have given it much thought, but fractional yacht ownership may well be the perfect option for the contemporary prospective yacht owner, and has become the current trend among those wishing to make a sound investment. Hailed as “Europe’s most successful fractional yacht ownership programme”, Azure Ultra offers the uniquely smart option of co-owning a luxury Sunseeker yacht at a fraction of the cost of going it solo. Its revolutionary fractional concept has been designed to offer a fantastic range of opportunities for experiencing the high life while taking all the hassle out of yacht ownership. How does it do this? Azure Ultra ensures that you only buy the time you actually spend on board, while sharing the yacht purchase price, upkeep and maintenance expenses with other co-owners. This has the twofold advantage of keeping the costs of ownership low and one’s on-board experience stress-free. Moreover, the Azure Ultra programme completes the luxury boating lifestyle with exclusive five-star VIP on-board treatment, with its top-class yacht management team to take care of all the finer details on the owners’ behalf. Quickly gaining a reputation as the leading European specialist in fractional yacht ownership, Azure Ultra recently made its first official appearance on the local boating scene during the hugely attended 2015 Valletta Boat Show edition. The brand’s stylish stand design and stunning fleet of Sunseekers certainly piqued the curiosity of numerous visitors over the boat show weekend. 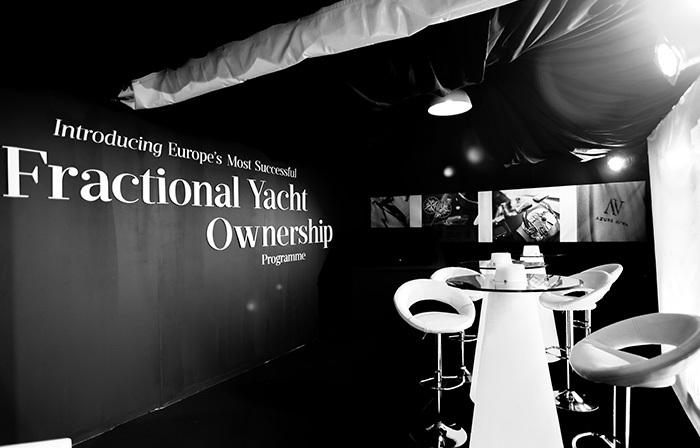 This popular annual event served to establish the brand’s unique offering in the Maltese market, with its innovative co-ownership concept immediately generating interest among passionate boaters and enthusiasts alike. 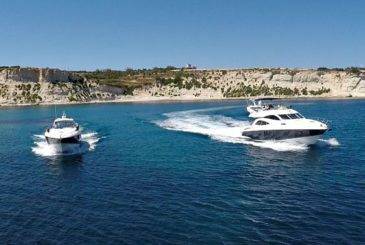 For more information about the options that the Azure Ultra programme can offer you, contact one of our fractional yacht ownership specialists who will be happy to assist you with any of your queries.